Latex-free, blue spun bonded poly material. 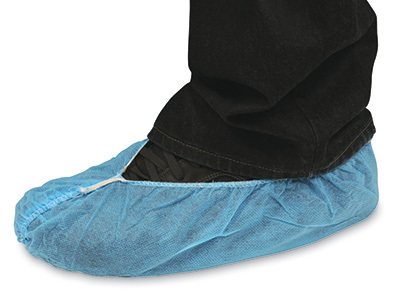 Non-conductive shoe covers with elastic band slip on easily. Bottom of cover has embossed grip for better traction. Designed to cover shoes; may not fit over all styles of boots.